Luis Ojeda owes his life to the Pacifico Norte cartel. Literally. Now it’s time to pay. Luis led escaping American Muslims out of the U.S. during the ten years following a 2019 terrorist attack on Chicago. He retired after nearly being killed by a border guard. But now in 2032, the Nortes give Luis a choice: pay back the fortune they spent saving his life, or take on a special job. The job: Nora Khaled – FBI agent, wife, mother of two, and Muslim. She claims her husband will be exiled to one of the nation’s remote prison camps to rot with over 400,000 other Muslim Americans. Faced with her family’s destruction, she’s forced to turn to Luis – the kind of man she’s spent her career bringing to justice. But when the FBI publicly accuses Nora of terrorism, Luis learns Nora’s real motive for heading south: she has proof that the nation’s recent history is based on a lie – a lie that reaches to the government’s highest levels. 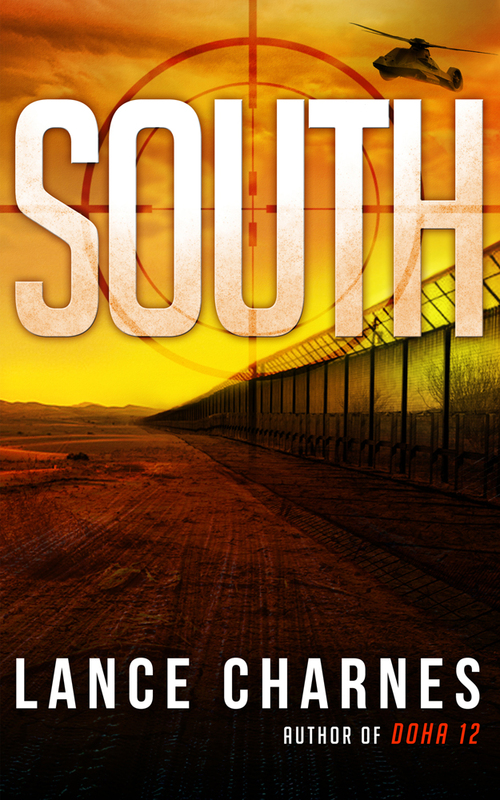 Torn between self-preservation and the last shreds of his idealism, Luis guides Nora and her family toward refuge in civil war-wracked Mexico. The FBI, a dogged ICE agent, killer drones, bandits, and the fearsome Zeta cartel all plan to stop him. Success might just free Luis from the Nortes…but failure means disappearing into a black-site prison, or a gruesome death for them all. In a day-after-tomorrow America where government has been downsized and outsourced into irrelevance, and none but the very wealthy few can afford hopes or dreams, Luis and Nora must learn to trust each other to ensure the survival of the truth – and of the people they love. Lance Charnes has been an Air Force intelligence officer, information technology manager, computer-game artist, set designer and Jeopardy! contestant, and is now an emergency management specialist. He’s had training in architectural rendering, terrorist incident response and maritime archaeology, but not all at the same time. Lance tweets (@lcharnes) on shipwrecks, scuba diving, archaeology and art crime.